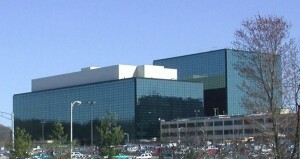 According to a new report from Der Spiegel based on internal NSA documents, the signals intelligence agency’s elite hacking unit, Tailored Access Operations (TAO) is able to compromise the hardware devices supplied by many tech companies, including U.S. firms. The report revealed information from a price-list that amounts to a ‘spy catalog,’ showing technology available to TAO to allow hardware to be compromised directly. In short, the NSA can infiltrate your computer or mobile device, even before you buy it. The report indicates that the NSA, in collaboration with the CIA and FBI, routinely and secretly intercepts shipping deliveries for laptops or other computer accessories in order to implant bugs before they reach their destinations. According to Der Spiegel, the NSA’s TAO group is able to divert shipping deliveries to its own “secret workshops” in a method called interdiction, where agents load malware onto the electronics or install malicious hardware that can give US intelligence agencies remote access. In a related story, the President and his task force to examine the NSA’s surveillance activities were unable to cite even a single case where the NSA’s activities achieved their stated goal of averting a terror attack. Instead, the effect of NSA spying has been to create a climate of distrust and fear where 4th Amendment protections against unreasonable search and seizure is crushed and tech giants including Cisco, Juniper Networks, Dell, Seagate, Western Digital, Maxtor, Samsung, and Huawei are undermined. Would you buy hardware from an American company if you knew the NSA could have re-routed the shipment to tamper with it? That sort of consumer suspicion of hardware companies is a real and potentially disastrous effect of these programs: a form of unintended terror attack by the NSA against American business.